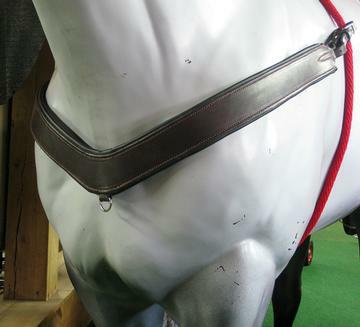 This English breast collar is padded, lined, and contoured especially to fit draft horses. 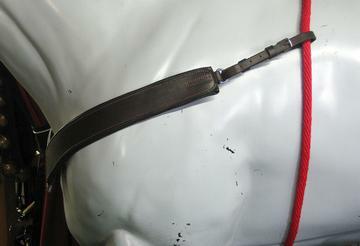 Buckle fasteners make it easily adjustable to give you the best fit possible. 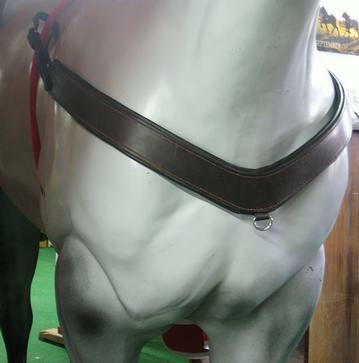 Made with English bridle leather and all stainless steel hardware, it's simplistic design makes it ideal for English style riding. 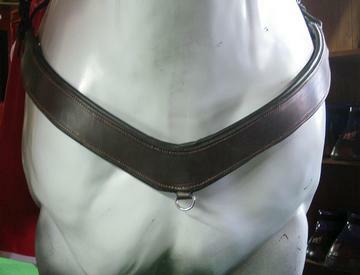 Available in brown with black lining (shown above) or black with black lining.